Pictured is Award-winning composer Roger Zare, whose new composition, “New Horizons,” is stirring up interest this week when it will have its world premiere at the Chesapeake Chamber Music Festival at the Avalon Theatre in Easton, Maryland on Friday, June 19 at 8 p.m. The composition, commissioned by the Festival’s artistic directors J. Lawrie Bloom and Marcy Rosen for the 30th anniversary of Chesapeake Chamber Music, is dedicated to NASA’s New Horizons spacecraft’s scheduled encounter with the dwarf planet Pluto on July 14, 2015. Award-winning composer Roger Zare has written works for a variety of ensembles including solo, chamber, choral and full orchestra works. 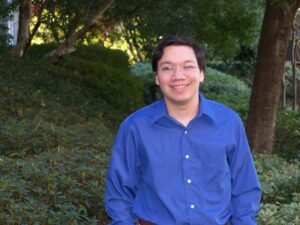 His most recent work, “New Horizons,” is stirring up interest this week when it will have its world premiere at the Chesapeake Chamber Music Festival at the Avalon Theatre in Easton, Maryland on Friday, June 19 at 8 p.m. The composition, commissioned by the Festival’s artistic directors J. Lawrie Bloom and Marcy Rosen for the 30th anniversary of Chesapeake Chamber Music, is dedicated to NASA’s New Horizons spacecraft’s scheduled encounter with Pluto on July 14, 2015. The work brings together the classical music of the last three centuries with the scientific discoveries of the 21stcentury. Thirty-year old Zare, born in Sarasota, Florida, has always been inspired by science and astronomy. He has vivid memories of seeing the space shuttle launch from his home, despite being over 150 miles away from Cape Canaveral. Each of the three movements of his work, composed for a quartet of oboe, clarinet, cello and piano, is about a key event in the probe’s journey. The first movement, January 19, 2006, represents the probe’s launch from Cape Canaveral. The second movement, February 28, 2007, describes the probe’s encounter with Jupiter. Flying by the largest and by far the most massive planet, New Horizons gained an incredible burst of speed. The third movement, titled July 14, 2015, represents the flyby of Pluto, the mission’s primary goal, which occurs less than a month from now. Zare began playing the piano at the age of five and violin at the age of 11; he started composing at age 14. Roger holds a doctorate of musical arts (2012) from the University of Michigan, a master of music (2009) from the Peabody Conservatory of music at Johns Hopkins University in Baltimore, Maryland; and a bachelor of music (2007) from the University of Southern California. Embracing his love of science, in July 2014, Zare participated in a workshop presented by CERN at the Montreux International Jazz Festival, The Physics of Music and the Music of Physics. 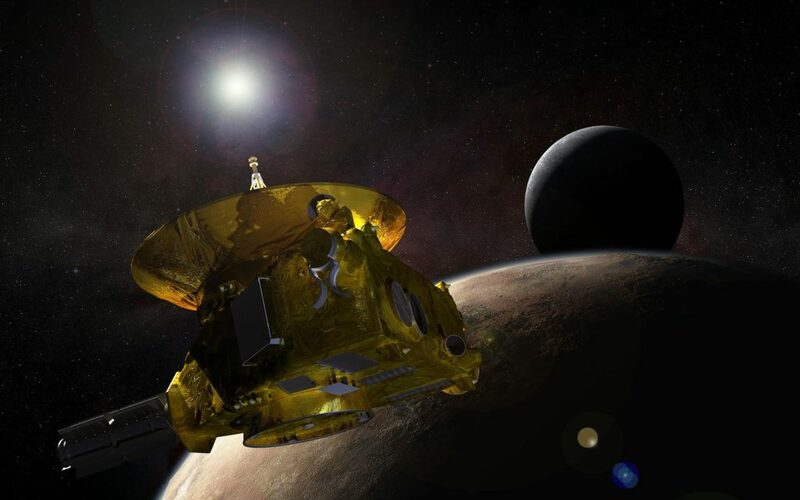 Johns Hopkins University Applied Physics Laboratory states that New Horizons remains healthy and on course to make its closest approach to Pluto and its system of moons. This is a cosmic coincidence that will occur 50 years to the day after the historic first flyby of Mars by Mariner IV on July 14, 1965. #1: Pictured is Award-winning composer Roger Zare, whose new composition, “New Horizons,” is stirring up interest this week when it will have its world premiere at the Chesapeake Chamber Music Festival at the Avalon Theatre in Easton, Maryland on Friday, June 19 at 8 p.m. The composition, commissioned by the Festival’s artistic directors J. Lawrie Bloom and Marcy Rosen for the 30th anniversary of Chesapeake Chamber Music, is dedicated to NASA’s New Horizons spacecraft’s scheduled encounter with the dwarf planet Pluto on July 14, 2015.